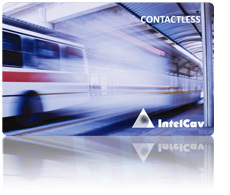 Millions of Brazilians use public transportation daily – and IntelCav is with them. We supply cards for all the principal electronic ticket systems through contactless card technology. We offer state-of-the-art technology products like Dual Interface. This card conducts both contact and contactless payment operations through chips. This allows the card to be used to pay for transportation (it’s read by the receptive machine on the vehicle or train) as well as make traditional payments at stores and service companies that require the use of chips.